The offbeat stylings of Larry "Wild Man" Fischer, an outsider icon with ties to Frank Zappa and a wild voice who generated a cult audience against all odds. Editor’s note: Hey all, Ernie here with a refresh of a piece from David Buck about outsider musician Wild Man Fischer. It’s a topic he knows a lot about; just ask him about R. Stevie Moore sometime. Cheers! Tonight’s GIF comes to us from one of Fischer’s earliest television appearances, on a 1968 episode of Laugh-In. — Irwin Chusid, author of the excellent outsider music book, Songs in the Key of Z, discussing Fischer’s work in an interview for a 2005 documentary. Chusid knows of what he speaks; he’s a DJ on New Jersey’s WFMU, a music journalist and historian, and a friend of and occasional drummer for the man with 400 albums himself, R. Stevie Moore. The first time I heard the unique vocal stylings of Larry “Wild Man” Fischer was on the August 8, 1999, episode of Dr. Demento. The special topic that week was short songs, a subject to which Fischer was no stranger. A local radio station—KYZX 103.9 The Eagle—was normally a classic rock station and just happened to be syndicating the show. Six months later, the station would drop the show, but by then, the seeds of a deep appreciation for the show and the music itself had been planted in my mind. Admittedly, Wild Man Fischer is a bit of an acquired taste, but once you get past the initial shock of his unconventional singing and style, it’s easy to be drawn into his world. Just ask “Weird Al” Yankovic, Devo co-founder Mark Mothersbaugh, actor/musician (and one half of Barnes & Barnes) Bill Mumy and New Wave icon David Byrne. It is recommended, however, to take Wild Man Fischer in measured doses, to fully appreciate his work and its meaning. Fischer suffered from manic depression, paranoia and schizophrenia, battling with these his entire life. He spent some time in a mental institution after an incident involving his mother. The tragedy of his life is covered extensively in the 2005 documentary, Derailroaded: Inside the Mind of Larry “Wild Man” Fischer. Because this territory has been amply covered elsewhere, we’ll explore what brought Larry the most joy, but also the greatest difficulty: his singing. There is a primitive, innocent quality in much of Larry’s work and a just a bit of humor thrown in for good measure. Despite some setbacks and a constant urge to “leave show business,” Larry continued to create his unique brand of music. The exact time code on side two of Frank Zappa’s Lumpy Gravy that one of the voices sings a snippet of Wild Man Fischer’s “Merry Go Round.” The cameo reflects the relationship the two artists had fostered around that time. In the late ‘60s, Frank Zappa and Wild Man Fischer formed a somewhat tenuous relationship. Stories of their meeting differ, but the general consensus is Zappa discovered “Wild Man Fischer while walking along the Sunset Strip one day. 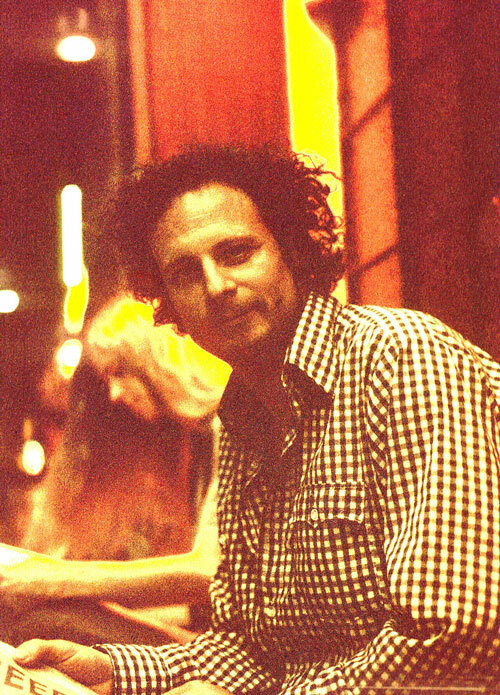 Fischer was performing his songs for a dime apiece when Zappa met him. Zappa decided someone needed to make an album of Larry’s songs, which arrived as a double album in 1969. 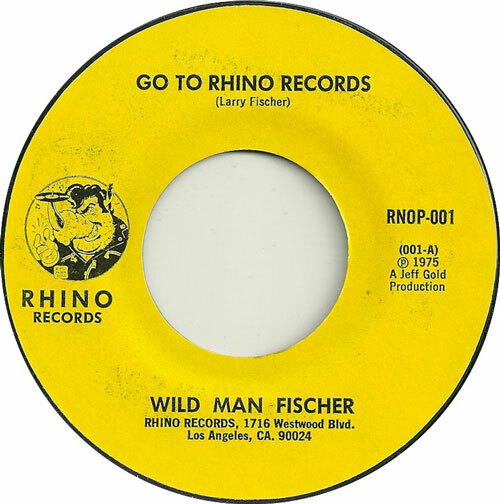 Fischer’s first album, An Evening with Wild Man Fischer, is considered a classic of outsider music, among some. Bill Mumy, an actor known for his roles in Lost in Space, Babylon 5, and The Twilight Zone, is in that category—in part because he’s an offbeat musical figure himself, making up one half of the comedy rock act Barnes & Barnes. “An Evening with Wild Man Fischer is a standalone brilliant piece of work. It caught Larry with his most passionate material,” Mumy said of the album. Not everyone feels the same way about it. Others see it as a novelty, a throwaway item in Zappa’s timeline, or worse. It all depends on one’s perspective. 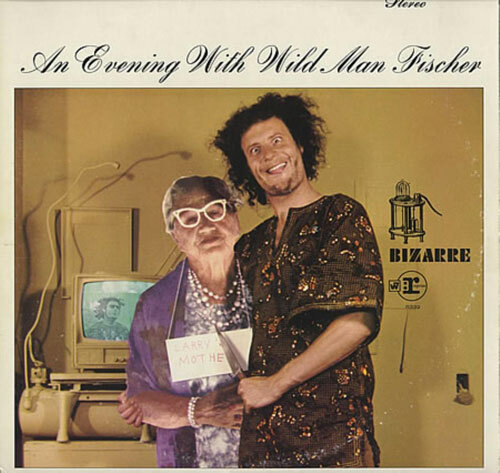 Being a massive Zappa fan myself, I was surprised I hadn’t really heard of Wild Man Fischer until hearing him on Dr. Demento. The album is split into four sides: The Basic Fischer, Larry’s Songs Unaccompanied, Some Historical Notes and In Conclusion. Kicking off with Larry’s signature song, “Merry Go-Round,” the album starts strong and may seem like a bit of a novelty at first. It is only with further diving into the record the listener learns the tragedy of Fischer’s life and his struggles with family, mental illness, and the music industry. Other highlights are the songs “Monkeys Vs. Donkeys,” “The Mope” and “The Wild Man Fischer Story,” wherein Larry tells the audience about his life up to that point through a combination of vocal noises, a capella singing, impressions and emotion. There’s a misconception that the album is comprised of Larry screaming his songs a capella. This is simply not the case. There are some excellent examples of psychedelia like “The Circle,” backed up by Zappa guitar playing. “The Taster,” a dance song of sorts, is another great track with instrumental accompaniment. Zappa and Fischer eventually had a falling out after Fischer—who was prone to throw things—threw a bottle, nearly hitting Zappa’s baby. This would serve to have a lasting effect on both parties, which is well documented in The Real Frank Zappa Book. Although long out of print, the album was finally released on CD in 2017. Some say it was the worst selling album Warner Bros. ever put out, only selling around 12,000 copies. This became a bone of contention for Larry, plaguing him for the rest of his life, but a few years later he was recording again. In 1977, Fischer strolled into the Rhino Records store on Westwood Boulevard. He recorded a jingle for the store, “Go to Rhino Records,” which became popular both locally and in England. The song was pressed onto vinyl and became the first release for the new Rhino Records label. Shortly after, Wild Man Fischer would record an entire album of tunes, RNLP-001, Wildmania. The album is a mix of personal, deeply touching and introspective pieces, dance songs and the aforementioned jingle. Songs like “Do the Wildman” certainly recapture the exuberance of earlier pieces and a few songs are downright funny (“I’m a Truck,” “Jimmy Durante”) while others are tributes to family (“Josephine”). 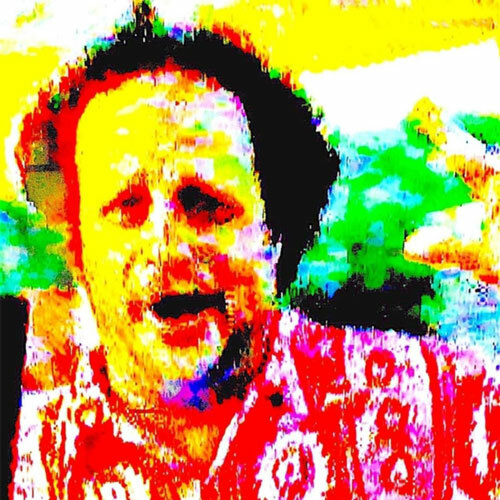 The song is a bittersweet soliloquy in which Larry sings an ode to his family, complete with impressions of each. A genuine vein of emotion running through the song, rich in Fischer’s background and thoughts. He’s an eccentric, enthusiastic singer without a hint of pretension. It can also seem humorous upon first listen, which helped make it a hit on The Dr. Demento Show. Though Wildmania holds the distinction of being the first full-length LP released on the Rhino Records label, it didn’t sell well—only around 6,000 copies according to Harold Bronson, the author of the book The Rhino Records Story: Revenge of the Music Nerds. The album didn’t sell well, but it did have another effect—reviving interest in Larry’s career, at least among the Dr. Demento fan community. In 1981, Barnes & Barnes got together with Wild Man Fischer to create the album, Pronounced Normal. The album contains many excellent songs, which are scored by Barnes & Barnes in the synth-heavy style of the period. Unfortunately, the recording of the album caused Larry to experience a major bout of paranoia and they wouldn’t work together again for another three years. Nothing Scary arrived in 1984 and is probably the most cohesive of Larry’s efforts, recorded in studios, on the street and in tunnels. It contains “Derailroaded” and many other songs, most less than one minute long. Both albums are well worth a few listens if you can find them. Ultimately, six official albums were released during Larry’s lifetime, four of which—An Evening with Wild Man Fischer, Wildmania, Pronounced Normal and Nothing Scary are fully produced, professional quality recordings. A fifth album, The Fischer King, is a Rhino Records compilation, featuring everything he recorded for the label and many previously unreleased tracks. A lesser-known album, Wild Man Fischer meets Smegma or Wild Man Fischer and Smegma Sings Popular Songs was recorded in 1975. Now, here comes the twist—in late 2018, Bill Mumy and Robert Haimer made a surprise announcement: a new Wild Man Fischer album would be released in October. With music, mixing and production by Barnes & Barnes, the album would be comprised of unreleased recordings, odd bits and musical backing by the Barnes & Barnes themselves—just like Pronounced Normal and Nothing Scary. 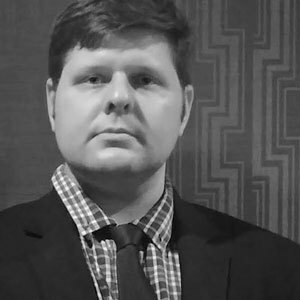 The new album is called Deep State and it sees Larry at his most vulnerable, raw and uninhibited. The songs are poignant and introspective, with bursts of manic energy as they explore the major themes of Larry’s life. The album is like a sweet gift to Larry (and his fans) from two of his closest friends and functions not as a mere tribute, but as a sort of biography/examination of the one and only Larry “Wild Man” Fischer. Despite his unusual musical demeanor, Larry had a wide variety of brushes with fame and celebrity, some of them seemingly by chance. For one, Larry appeared on Rowan and Martin’s Laugh-in playing the Choir Director of the Beautiful Downtown Burbank Glee Club. In the segment, Larry walks out on-stage, does a clip of the song, “The Leaves are Falling,” and walks off. Later, he performs a bit of “Merry Go-Round” before being led off-stage by Ruth Buzzi. Over the years, his offbeat skill set attracted famous fans. For one, Rock and Roll Hall of Fame inductee Solomon Burke, who not only brought Fischer on tour with him, but is credited with giving Fischer his nickname. “He’s a very excited young man … a very, extremely talented young man,” the late soul music icon said of his onetime supporting act. Larry believed his best songs and performances came from what he called “the triple pep.” When he felt good, these were his highest, happiest, most productive moments. “When Larry’s inspired, when he has what he calls the ‘triple pep,’ there isn’t a more dynamic and soulful singer in the world,” Mumy said in Songs in the Key of Z. Unfortunately, Larry ended up in assisted living toward the end of his life and lost the pep. 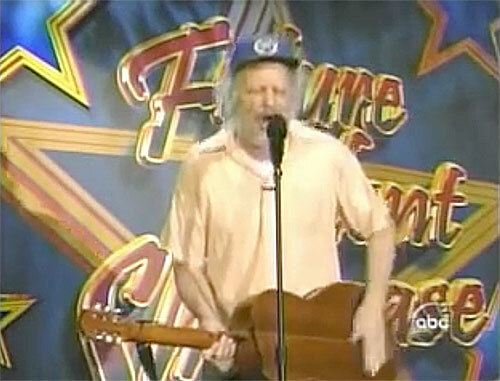 Sadly, Larry “Wild Man” Fischer died of heart failure on Jun. 16, 2011. Some may call Wild Man Fischer a genius, others may think i)ll of him for his shenanigans and still others may think nothing of him at all. Whatever your thoughts and feelings of him are, he remained an exuberant artist through his life, who did what he loved despite the considerable odds against him. Wild Man Fischer epitomises the idea of outsider music. Everything about his songs, his singing and his performance is genuine, from the enthusiastic energy of his first recorded works to his recent posthumous release.